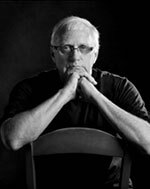 Dr. Robert Barlow was internationally known for his research with the neural basis of visual behavior; computational models of neural coding; and circadian and metabolic modulation of human visual sensitivity. Dr. Barlow received his doctorate from Rockefeller University in New York City. After Rockefeller, he became a scientist, researcher, and professor at Syracuse University for 28 years until the late 1990s. In 1996 he joined the faculty at Upstate Medical University. There, he was the driving force that established the Center for Vision Research, a group now that numbers 50 people and is the largest clinically focused research group at Upstate Medical University. His leadership was critical in establishing the SUNY Upstate Foundation's endowment to support vision research and the SUNY Eye Institute, a collaboration of all four SUNY Academic Health Centers performing vision research. 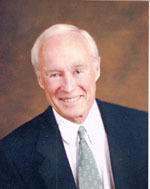 Dr. Barlow also held leadership positions on several boards, including being a vice president of the board of trustees of the Association for Research in Vision and Ophthalmology, on the board of trustees of the Marine Biological Laboratory in Woods Hole, Massachusetts, and a director for the Doreen Grace Brain Center in Mashpee, Massachusetts. He had been a visiting scholar at Harvard University, University of Cambridge in England, and the University of Tsukuba in Japan and had a long list of invited presentations as a lecturer. Dr. Barlow had been featured in many scientific journals and programs, including Nature Magazine, Discovery Channel and the BBC. His work has also been published in more than 103 scientific papers, and there are five more that will be published posthumously. Due to Dr. Barlow's thoughtful preparation, his important work on macular degeneration will be continued under the guidance of his colleagues at Upstate Medical University. Dr. John A. Hoepner, Professor and Chair Emeritus of the Department of Ophthalmology at SUNY Upstate Medical University, worked tirelessly with Robert B. Barlow, PhD and Barry E. Knox, PhD to bring the Center for Vision Research to fruition. As the CVR's Director, he has encouraged the research that takes place at the CVR as well as providing leadership to the investigators. He is a strong proponent of the work that is being done at the CVR and believes that this collegial group of researchers has the scientific methods to move forward in the fight to find the causes and cures for blinding diseases. Our mission in 1997 was to build the Center for Vision Research into a leading center for research on major eye diseases and vision disorders. Our emphasis is to understand the cell and molecular biology underlying the most prevalent blinding diseases. The CVR's initial Scientific Advisory Panel (John E. Dowling, Ph.D.-Harvard University; Thaddeus P. Dryja, M.D.-Harvard Medical School; Debora B. Farber, Ph.D.-UCLA School of Medicine; Alan M. Laties, M.D.-University of Pennsylvania; Nobel laureate Torsten N. Wiesel, M.D.-Rockefeller University; Robert H. Wurtz, M.D.-National Eye Institute) was instrumental in helping develop our strategy of attracting world-class scientists and providing them the best possible opportunities for making breakthrough discoveries on major causes of blindness. made important discoveries on the possible causes of retinitis pigmentosa, glaucoma, diabetic retinopathy, and age-related macular degeneration. Outstanding support from annual grants by Research to Prevent Blindness (RPB) has allowed us to explore new, exciting areas of research into the causes of retinal degeneration. In addition, Career Development Awards by RPB have attracted gifted young scientists whose creativity and new ideas have contributed enormously to our overall research effort. Complementing the CVR is the University Center for Vision Care (CVC) that provides eye care for patients throughout Central New York. CVC ophthalmologists utilize the latest techniques to treat and perform surgery on all patients, including those uninsured who are referred to us by District 20Y-1 Lions Club and other sources. As the CVR's Administrative Director, I want to thank the people and organizations whose wonderful support has made CVR a reality and its rapid progress possible-Scientific Advisory Panel, Leadership Council, Research to Prevent Blindness, the District 20Y-1 Lions Club, SUNY Upstate Medical University Foundation, faculty, post-doctoral fellows, and staff.